Moving on to the region-by-region polls, it looks like Nebraska is the slight favorite to come out on top in the Midway Conference. UNL had a pretty solid first half to the season, but they will have to fend off UWP, DePaul, and Ball State in order to claim the title as the top team in their region! Next region: Ohio. It seems to be a two-way race as of now for ODC favorite. Miami and Kent State are the two highest ranked teams in the state, but according to voters, there is a lot of confidence that some other teams may have what it takes to win the ODC. BGSU, Akron, Ohio and several other Ohio teams are certainly hoping that is the case. The results from the above tweet were pretty surprising. UNG is 1-0 on the year against Kentucky, yet the Wildcats received 59% of the vote in this one. It seems that the league expects the Wildcats to have a strong second half to the season despite the losses of Parise and Menchaca. This question seems to have been asked and answered in resounding fashion. 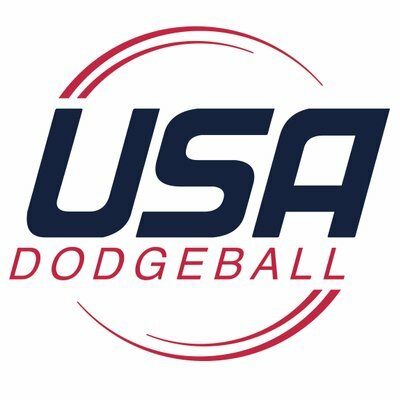 The inaugural “East Coast Dodgeball Cup” is set to take place on March 23rd, hosted by University of Virginia. This is a great move by the East Coast to host a “regional championship”. Hopefully the trend will continue with a similar annual tournament set up in the South or Midway. 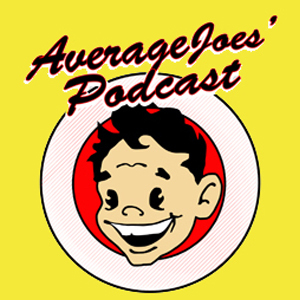 The Michigan Dodgeball Cup is a huge tradition in the most storied region in College Dodgeball. With that said, it doesn’t seem like as much of a can’t-miss event in 2019 (at least in terms of the top spot). Grand Valley State is the clear favorite in this one. The undefeated, #1 ranked Lakers earned over 80% of the vote. Due to that wide margin, we decided to make another poll with a much more interesting debate: who will be #2? 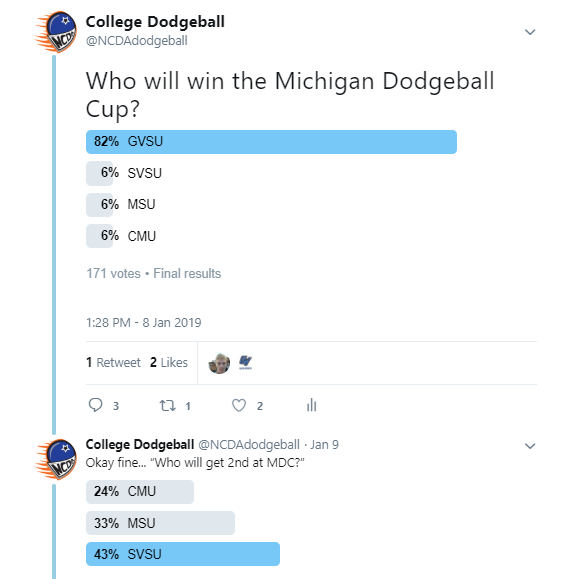 SVSU edged out MSU and CMU in that race, but it certainly will be one to keep an eye on come February 16. Unlike many years in the past, the Michigan Region does not stake claim to the majority of the top 3 teams in the country. Right now the East Coast happens to have the nation’s #2 and #3 teams respectively. As of now it looks like Towson holds the edge of James Madison as the team most likely to take home an NCDA National Title, but the season is still young. We had a little fun with the last one. Seems like people were more surprised by previously unbeaten Alabama’s loss to Clemson in the College Football National Title Game than they were with GVSU win over 1-loss CMU in last year’s NCDA Title Game.